As a lifelong fan of Sporting Clube de Portugal, my dream had always been to watch my team in action not in a local friendly, but in a match at their majestic stadium, Estadio Jose Alvalade XXI, located in the Campo Grande section of the Portuguese capital city of Lisbon. I was fortunate enough to have that opportunity come to fruition in 2011. It started as a bit of a pipe dream. I had hemmed and hawed about making the trek to Portugal, something that I had never done at all. When I looked at the schedule of matches that Sporting was slated to play in February 2011, though, it looked like it was a well written script. 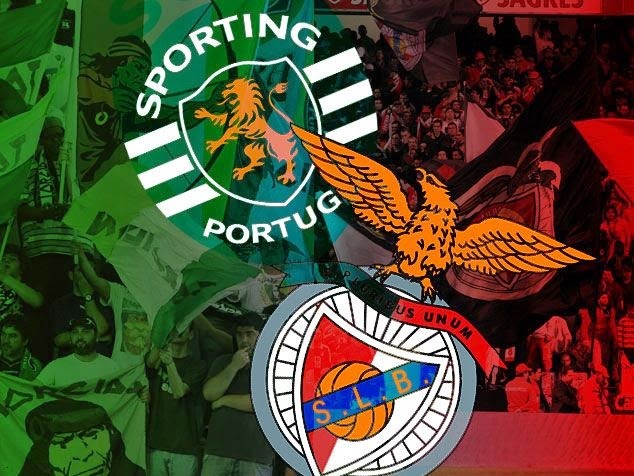 Sporting had been scheduled to face their fierce local rivals Benfica in a derby match during the weekend of February 19/20, and they were also facing Glaswegian giants Rangers during the second leg of a Europa League tie later in the week. The mere fact that I was able to make the most of my time in Portugal’s capital, watching two matches, seemed like making the trip worthwhile. I took the plunge, booked my flight and hotel, and bid my family goodbye for the week. I left Toronto to my first destination, the Azorean island of Sao Miguel, for a quick stopover and then it was off to Lisbon. I still vividly remember seeing the stadium while the plane was landing at the Portela airport. Once I passed customs and made my way to the hotel to drop off my bags, it was time for dinner. It was roughly 10 pm and there was only one place that I had in mind for a late-night nosh – a pizzeria located at the main level of the stadium. The hotel that I was staying at was about a 6 km walk to the stadium and not wanting to learn the metro system that late, I opted for the walk in the cool Lisbon night. The stadium was brightly lit and was quite a vivid sight, even in the dead of night. I took a quick walk around and took in as much as I could, though knowing full well that I had a week to immerse myself in all things that was Sporting. I met up with a friend of mine on Sunday and after a pint or two, I finally had my hands on a pair of tickets to the derby on Monday night. I was in heaven. It still seemed so surreal, that I was in Lisbon a mere twenty-four hours before I got to have an opportunity to watch a match, live in person, against our biggest rivals. I got a good nights’ sleep and then, derby day had finally arrived and after a sizable breakfast, it was off to Alvalade. I had arrived about eight (!) hours prior to the start of the match, more so because I wanted to walk around the stadium during the day to take in all of the nooks and crannies of the building; to see the fans start to congregate around the main gate, chatting about the possible lineups, formations and tactics; to catch a glimpse of the two buses that were transporting the players to the stadium and listening to the fans chanting verses of support to the home team (and the expletive-laced verbiage aimed at the visitors); the beats of the drums and the smells of the street meat sandwiches that were being sold at all corners around the stadium. These are all experiences that one cannot be exposed to while watching on television and since this was all a first for me, I was determined to take it all in. Game-time finally came and although Sporting was not in any position within the table to challenge for a title, this is a derby and the stadium was filled. I was seated close to the main supporters section, the famed Juventude Leonina claque. They came armed with loud, boisterous voices – along with firecrackers, sticks and other missiles that they could muster through the stewards at the entrance gates. All of their weapons were used throughout the match – their chants were used to drown out the chants of the 5,000 or so travelling supporting fans that were tucked away in a corner opposite of the Juve Leo. The other arms at their disposal were used to distract the opposing team on the field, as well as the local police who were heavily stationed throughout the stadium. It was a frenetic scene at times as the police were constantly charging at the home team supporters, making sure that things were kept as civil as it possible could. Unfortunately the home team were not able to must much of a threat throughout the match and it finished 0-2 to the bitter cross town rivals, with the Argentine pair of Eduardo Salvio and Nico Gaitan providing the necessary firepower to see off the Lions. While naturally deflated due to the loss, the experience of taking in a derby match live in a stadium that I had longed to be in had finally come to be, and a defeat could never take away that experience of not only that day, but of my week long stay in Lisbon. Not only was I was able to watch two matches (Sporting tied Rangers 2-2 in the other match and were ultimately eliminated due to the away goals rule) but I got to meet some friends, tour parts of the country, eat at some wonderful restaurants, take in a tour of the Sporting museum and just be a fan, one who was ecstatic to be living a lifelong dream. It was a wonderful experience and I cannot wait until I have a chance at the next opportunity to do it all again, which I certainly hope is not too far off.